Motorola’s MOTOTRBO ATEX radios provide high quality communication with comprehensive user safety and class leading ATEX specifications allowing use when in environments containing potentially explosive gas and dust. Motorola is a world leader in the development and deployment of digital radio communication solutions, and the DP4401 Ex and DP4801 Ex ATEX radios include a powerful feature set to harness the benefits of MOTOTRBO to deliver safe and reliable communications for users. 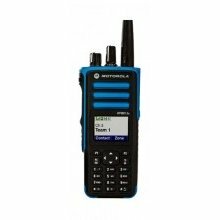 The fully-featured DP4801 Ex ATEX-certified portable delivers unrivalled voice and data communications with integrated GPS, text messaging, full-colour display with day/night mode to make reading text messages easier and best-in-class audio that includes Intelligent Audio and customizable voice announcements.